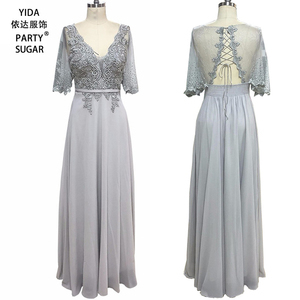 Guangzhou Yida Garment Co., Ltd.
We offer a wide range of high quality, reasonable prices and stylish designs, our products are widely recognized and trusted by users and we can meet your continuously developing economic and social needs. some items have patent Any third party test is welcome Sample policy: 1. if our sample available in stock, will be free of charge but freight collect. 3.If you don't have your forwarder,we can find the cheapest forwarder to ship the goods to your pointed port. We have thousands of designs in stock for your choice,2-3 working days delivery,1 piece order is accpetable. 2) What is the delivery time9 We can send your order out within 1-2 working days generally after confirm payment. 3. What is the minimum order quantity9 There is no minimum order quantity for each style ,one piece as an order ,we can accept . Alibaba.com offers 49,589 party embroidery dress products. About 54% of these are lace, 13% are plus size dress & skirts, and 10% are casual dresses. 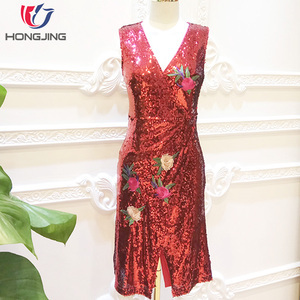 A wide variety of party embroidery dress options are available to you, such as anti-static, breathable, and anti-wrinkle. You can also choose from 100% silk, spandex / cotton, and linen / cotton. As well as from embroidered, plain dyed, and printed. And whether party embroidery dress is chiffon, woolen, or worsted. There are 49,531 party embroidery dress suppliers, mainly located in Asia. 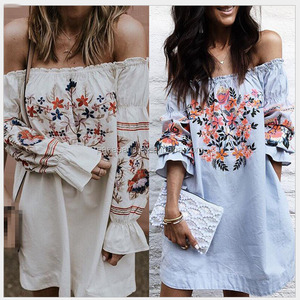 The top supplying countries are China (Mainland), India, and Pakistan, which supply 94%, 4%, and 1% of party embroidery dress respectively. Party embroidery dress products are most popular in North America, Western Europe, and Eastern Europe. You can ensure product safety by selecting from certified suppliers, including 1,950 with Other, 547 with TL9000, and 336 with ISO9001 certification.